Patients take note. An Avondale academic’s paper published in a prestigious journal shows how a change in cleaning practices significantly reduced infections at 11 hospitals in Australia. 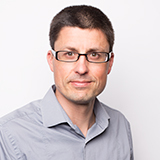 Professor Brett Mitchell is lead author of “An environmental cleaning bundle and health-care-associated infection in hospitals (REACH): a multi-centre randomised trial,” which appeared in The Lancet Infectious Diseases on March 8. The paper is important because 165,000 infections—the most comprehensive estimate in decades, thanks to previous research by Mitchell—occur in Australian hospitals each year. But a coordinated response is lacking. Cleaning practices vary considerably because the evidence for measuring cleanliness and best practice is unclear, says Mitchell, Director of the Lifestyle Research Centre at Avondale College of Higher Education. Complicating factors include the range of products and technologies used to clean and the range of people responsible for cleaning. “If you’re a patient in hospital and you have an infection, the bugs causing that infection survive in the environment for weeks and potentially months if they’re not cleaned,” Mitchell told Kia Handley, Mornings presenter on 1233 ABC Newcastle, this past Wednesday. And that increases the risk of spreading germs, particularly to places where they are not supposed to be. So, what did the REACH (Researching Effective Approaches to Cleaning Hospitals) project do? Led by Professor Nick Graves, a health economist at the Institute of Biomedical and Health Innovation in the School of Public Health at QUT, the researchers introduced a bundle of initiatives, tailored to each hospital in the trial, to improve routine and discharge hospital room cleaning. To measure cleanliness, the researchers placed invisible gel dots on the surface of common, high-contact items such as call bells, bed rails and bedside tables. The dots resist dry abrasion and are removed only by a thorough cleaning technique. Before the intervention, hospitals removed about half the dots in bathroom areas and two out of three in bedroom areas. After the intervention: 76 per cent of the dots in the bathroom and 86 per cent in the bedroom. The result? About a 40 per cent reduction in the major healthcare-associated infection vancomycin-resistance enterococci. And in contrast to previous research, the cleaning bundle prioritised “evidence-based strategies that were easy to implement and older, less expensive over newer, more expensive technologies,” says Graves. The bundle cost about $2500 per 10,000 bed days to implement. The researchers also introduced hospital-wide promotion of the importance of cleaning in reducing infections to raise the profile of environmental services staff. The result? An identifiable change in attitude and knowledge. 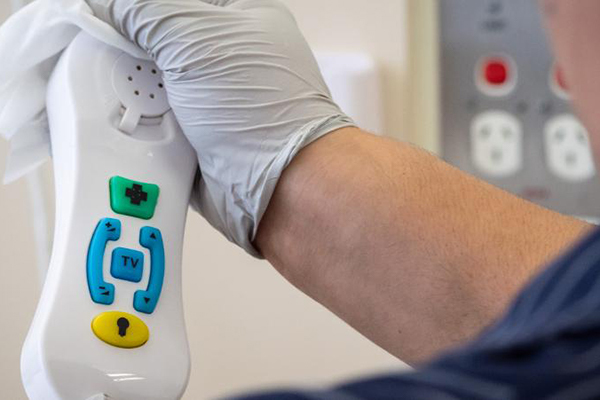 “They felt more valued as part of the whole hospital team, and they felt they had a role—and they absolutely do—in patient care by reducing the risk of infection,” said Mitchell in his interview with Handley.